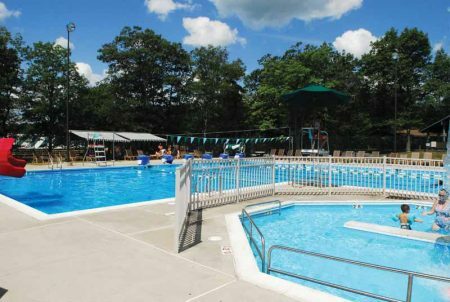 Aquatic facility managers operating indoor pools this winter need to make sure the water remains nice and warm. Unfortunately, if the heater stops working, the pool water gets cold, very fast. 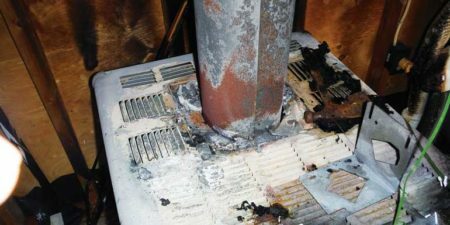 There are, in fact, several best practices to follow to avoid the common causes of heater failure. It is very unpleasant to anticipate relaxing in a pool only to dip a toe in and find the water is frigid. This unpleasantness can easily spiral into frustration when maintenance is unable to provide a timeline as to when the issue may be resolved. 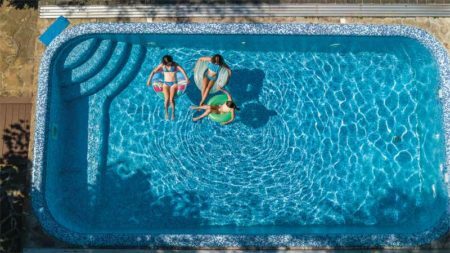 Upgrading to a new high-efficiency pool heater not only reduces operating costs for the homeowner, but also lessens the amount of space required for the unit, which provides new opportunities for backyard pool design. Heat pumps have been the go-to pool heating option in Florida and Quebec for years. In fact, the trend is spreading into Ontario, as well. 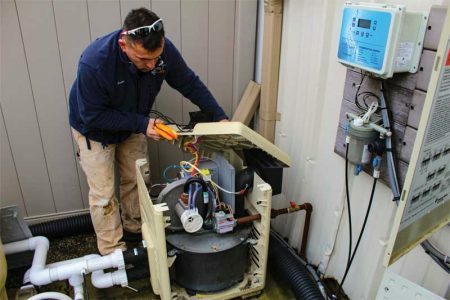 An increasing number of pool owners are opting for heat pumps over propane, natural gas, oil, and electric heaters for a number of reasons, including operating costs, environmental impact, and overall efficiency. The buzz words today are all about saving costs and being ‘green’ or energy-efficient. With pool heaters, it is easy to go green. 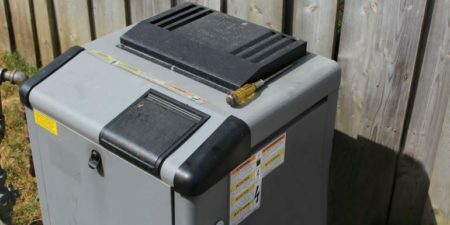 Older heaters, between seven and 10 years old, may have initially been approximately 78 per cent efficient, but over time, they are now probably only 60 per cent. This degradation typically occurs as heat exchanger tubes become clogged with build-up and burners become obstructed. 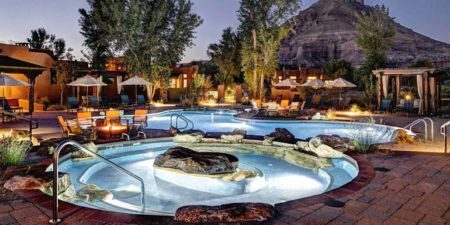 In an effort to fight climate change, Natural Resources Canada (NRCan) is proposing a series of amendments to the Energy Efficiency Regulations, under the Energy Efficiency Act, which could impact residential and commercial pool and hot tub products. Are you qualified to work on fuel-fired equipment? 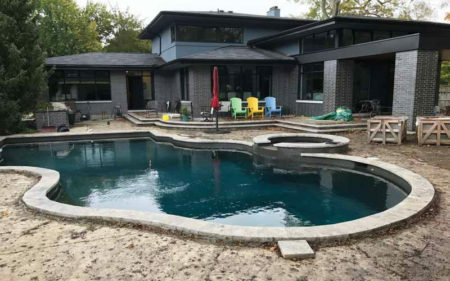 For Ontario’s Technical Standards and Safety Authority (TSSA), when it comes to fuel-fired pool heater installation and maintenance, qualifications matter. 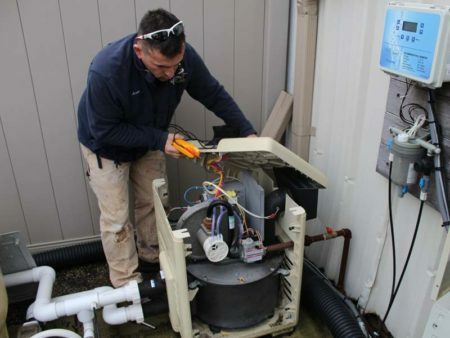 Only those professionals with the proper technical certification may install, service, or relight a pilot light on a fuel-fired (gas or propane) pool heater.